In the world of home flooring, there are many products and services available that are often not worth the investment. Companies may offer a miracle tool that makes your engineered hardwood flooring installation easier, but remember that a lot of products promise more than they deliver. 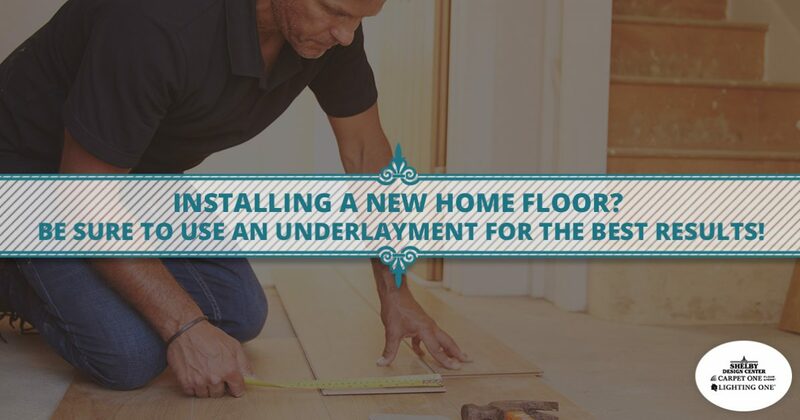 When it comes to the underlayment resting beneath your new floors, though, our flooring experts are here to tell you it’s an entirely different story! 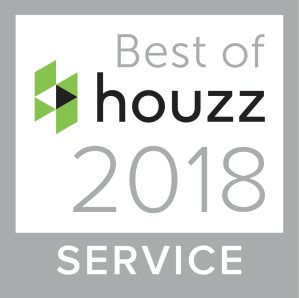 The Shelby Design Center has been proud to be your trusted flooring store in Shelby Township for more than 20 years, helping Michigan homeowners and businesses to find amazing design solutions for their unique needs. Our 20,000 square foot flooring showroom is combined with window dressings and modern lighting products to provide you with a comprehensive source for the best home designs in the industry. We’re as dedicated to your success as you are! Underlayments are often viewed as the unsung hero in home flooring projects. Today, we’ll highlight a few big benefits you can expect from investing in this product. When you’re ready to get started on your project, be sure to stop by our flooring store today! Premium underlayments provide a critical component that can provide major benefits for many structures — sound control. From dense office buildings to apartment complexes, the sounds from nearby humans can combine to disrupt your peace and quiet. Investing in a quality underlayment will provide sound dampening in terms of footsteps and dropped items, so be sure to find a line that was tested and rated highly for acoustic control. Even if you live in a single family home, hardwood and laminate flooring underlayments can prove beneficial. In many cases, this hidden product is engineered to make your flooring sound better, not just quieter. Laminate installs with the right underlayment can sound just like hardwood flooring when walked upon, adding audio quality to the great look and feel of your new improvements. One major reason to invest in a flooring underlayment for your Michigan home is to protect your new products from moisture and vapor. These H2O molecules can prove very disruptive for flooring materials of all types, making it essential to add more protection where needed. Installing on a concrete subfloor, for example, will likely create a floor that is cold and damp. Many underlayments come with a moisture barrier built in, providing convenience and protection for DIYers. Not only will your floors feel more comfortable and hold a better thermal value, but they’ll stay in great shape for years to come. The right underlayment will enhance your floors for the long haul, providing daily value while keeping moisture and mold at bay. This last piece can be essential for homes dealing with mold growth. Our flooring design experts can help you to find the best solution for every room in your house! One thing about flooring installation that can determine the quality of your project before you start is the quality of your subfloor. Even minor imperfections can result in big problems, impacting the connection between planks, unsmooth surfaces, and more. Your floating floors need support to retain quality results for years to come. Underlayments work to smooth out minor imperfections, providing rigidity in addition to comfort. The result is a flooring system that performs better and lasts longer. Your underlayment should also be designed to resists tears and punctures, providing additional stability and protection over the years. You’re left with a floor that is inherently better than the surface materials alone, affording the home with a wide range of benefits. This product also supports the connections between your planks, allowing for natural contractions and expansions of the home to provide quality that is protected today and for years to come. When used right, a flooring underlayment can prove invaluable in protecting your new floors. This small improvement can provide major enhancements, so be sure to budget accordingly to create the best results for your home. The Shelby Designer Center is proud to be your trusted flooring store in Shelby Township, delivering amazing results to customers in Macomb County and beyond. If you’re unsure how to proceed with your home design project, our 20,000 square foot lighting and flooring showroom is fully stocked with unique products to inspire you to order with confidence. Stop by our location or contact us today with questions!